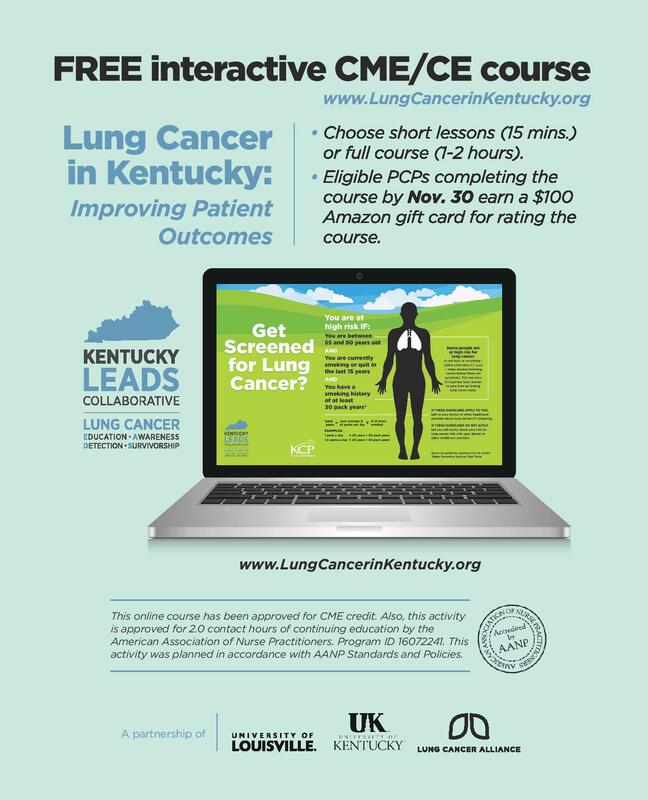 Eligible PCPs completeing the course by NOV. 30 earn a $100 AMazon giftcard! This training benefits all providers, regardless of practice setting, and features videos with demonstrations of how to intervene with those willing and unwilling to quit – in three minutes or less. It is the first of its kind for Kentucky medical professionals to address the number one preventable cause of disease and death. Recommendations follow the evidence-based Clinical Practice Guideline Treating Tobacco Use and Dependence and will address medications for cessation or just withdrawal relief, and resources for referral. Discussions of systems approaches, patients’ family involvement, and special patient populations are also included. Last chance to participate!